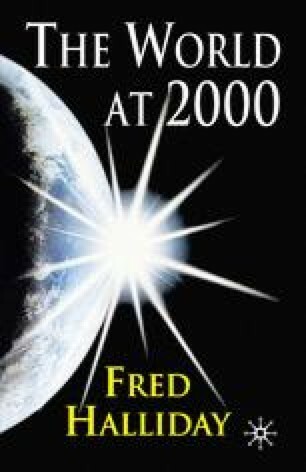 In any survey of the world at 2000, the question of the USA, of how to analyse it, and how to evaluate what it does, and does not do, is central. Not only is the USA the dominant power in the world, and likely to remain so for the foreseeable future, but the changes taking place within it, and which shape to a considerable degree the lives of those who live in the rest of the world, are a challenge to any social scientist or thinking person. In the mid-nineteenth century Marx analysed British industrial society because, he believed, it set the pattern for the rest of the world. The same argument, a century and a half later, applies to the USA: it is the hegemon, an informal ruler that is at once dominant power and dominant model. Marx was wrong about the world imitating Britain, but right to see it as an engine of change worldwide.